“Maeng Da Kratom” is a significant kind of Kratom said to be the one which has the most potent effects of all the alkaloids strains available in the market. Maeng Da Kratom originated from Thailand which has a higher quality of alkaloids with leaves of a darker color than the other strains. The strength of maeng da kratom made you energetic and motivated all day long and equally, makes it possible for you to perform all essential tasks. It has long-lasting effects, i.e., the effects of the kratom last for almost 8 hours making it the best for the desired activity. Its strength is so amazing that some people cannot use it without at least diluting it. It is because it is very stimulating to the extent that to reducing its dose and effects, it can mixed with other strains. 1 How Does Maeng Da Kratom Work? 2 How Do I Measure A Proper Maeng Da Dose? 3 How Much Should I Take Maeng Da Kratom? 3.3 How Long Will The Dose Last Of Maeng Da Kratom? 3.4 Can I Overdose Using Maeng Da Kratom? 4 Is There Tolerance Consumption Of Maeng Da Kratom? 5 What Are The Benefits Of Maeng Da Kratom? 6 Is Maeng Da A Safe Strain of Kratom? As mentioned above, Maeng Da Kratom is a native Thailand Kratom tree that has a reputation as a stronger strain type due to the alkaloid in its leaves. In Kratom circles, this is called the “pimp” strain, and it is known to help motivate people and propel energy throughout the day. When you take a look at the Kratom tree for the first time, you will notice it has a darker green strain, but maeng da kratom can be found in other three strain types: green, white and red. There are many active compounds found in maeng da leaves called, Alkaloids. And with this strain, there is a higher volume of two particular Alkaloids: Mitragynine and 7-Hydroxymitragynine. These two compounds work in collusion on your opioid receptors. The Mitragynine opens up your opioid receptors and releases endorphins, thus producing that euphoric feeling mostly associated with opiates such as morphine. Hydroxymitragynine produces the sedative effect which also provides a sort of pain relief. How Do I Measure A Proper Maeng Da Dose? Maeng da kratom is considered one of the stronger strains out of the different types of Kratom. When you first begin taking the strain, you should start on a light dose. Users typically use two methods when measuring a proper dose. You could opt to use a digital scale, or you could use a teaspoon. A half teaspoon is the equivalent of 1.5 grams of the kratom powder. As long as you use that ratio, you will have no problem measuring up to your proper dose. How Much Should I Take Maeng Da Kratom? Like most other strains of Kratom, you will need to figure out what your threshold is. However, you should try to avoid using too much, and it shouldn’t be ‘not enough’ either. Finding the right balance will maximize your experience. It is experienced: 5-9 grams. The concentration of alkaloids is higher in maeng da kratom. Therefore, you are required to use 20 percent less quantity of what you would take if it were the other kinds of strains. For example, if Red Bali is to be ingested, it is suggested to be taken about 5 grams, but when we talk about maeng da kratom, you will require only 4 grams of dosage so that you will be able to get the best positive outcome. Many users reported that they received optimal results by increasing their dose by a gram every half to a full hour. This will depend on a couple of factors such as your weight and experience. To avoid adverse and side effects, you shouldn’t exceed a dose of 12-15 grams. It has two stages of effect because of the two Alkaloids mentioned above. After you take your first dose of maeng da kratom, you could begin to experience results within 10-15 minutes, while other users could get to a euphoric peak at about 40-45 minutes. The next phase works like a sedative. This will take place around two hours after taking it. How Long Will The Dose Last Of Maeng Da Kratom? Everyone is different, so there is no one size that fits all. However, under normal circumstances, a traditional dose of maeng da kratom should stay in your system and work up to 8 hours. Can I Overdose Using Maeng Da Kratom? There have been no overdoses or deaths linked to maeng da kratom. That said, much like anything in life, you can “overdo it,” if you don’t exercise good judgment. To avoid negative effects like nausea, vomiting, sweating, shaking, and headaches, you shouldn’t go above your proper dose. The maximum dose in an 8-hour cycle shouldn’t exceed 12 grams. Anything above that, you could experience side effects similar to opiate withdrawals. Is There Tolerance Consumption Of Maeng Da Kratom? After a week or two, you may begin to notice that the effects have weakened. Most Kratom enthusiasts suggest adopting technique or strategies to avoid a tolerance build up. There are a couple of ways you can avoid this. One, you can blend it with other forms of Kratom to enhance the effects you want. For instance, if you take 5 grams of kratom, try adding 2.5 grams of Green Malaysian. Stagnant Strain Syndrome, a term that was coined by other Kratom users, occurs when your body gets used to the active compounds and in a way grows an immunity wall towards it. Many have tried Kratom “fusions” to elevate results. Second, you can always up your dose, but you should do that carefully. For instance, if you are dosing at a daily level of 5-6 grams a day, then you should try adding gram or two to produce stronger results. What Are The Benefits Of Maeng Da Kratom? There are many benefits of taking Kratom and especially maeng da kratom. First, it’s a healthier and non-addictive alternative to pills and other chemicals used to eliminate pain throughout the body. According to a few of the users, it is not so different, but most of the users admit that it is very different in its strength when compared to other strains of kratom. However, it is better to use maeng da kratom in small dosages, it will then give you strong stimulating effects, and after using, your mind becomes more alert and comes in a better working position. When it comes to storing information in your mind. Maeng da kratom can make you more focused and attentive for the processing of the important information. Everything which requires your mind to be actively involved gets help from Maeng Da Kratom, for example, studying, job or any other pressure situation. 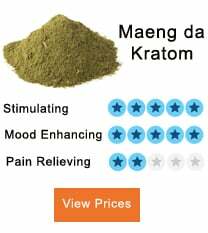 Is Maeng Da A Safe Strain of Kratom? Maeng Da Kratom is a safe strain of Kratom with no reported deaths or accidents caused by using it. As usual, you have to use good judgment and common sense. If you’ve been using other forms of Kratom, then you may want to start with a smaller dose of kratom because of its strength level. There are no known addictions to this strain of Kratom or negative reactions when taken correctly. Maeng Da kratom has shown incredible results in relieving different types of pain in the body, helping with opiate withdrawals, reducing anxiety, aiding sleep performance, decreasing stress, and promoting energy and happiness. On the one hand, people acknowledge the strong effects of maeng da kratom and its advantages like boosting energy and providing more motivation for the work, but on the other hand, mishandling of this powder can produce some negative effects as well. Due to the higher concentration of alkaloids, dose of the kratom increases and it may sometimes cause anxiety or irritation to the users. This anxiety can be removed by using Red Vein Strain which can reduce the effects of this strain and bring you back to normal. Some more side effects of maeng da kratom strain include dizziness, nausea, lightheadedness, sleeplessness, or lethargy. Misuse or overdose may even lead to the dependency or addiction on maeng da powder. Therefore, absolute care must be taken when using this strain of kratom. Kratom Itch- Is It Part Of The Kratom Experience? Very good quality product that I will be using now and then. Not quite like the white-veined Kratom but very smooth and plenty powerful. The product a pretty sweet aroma than other product and has very nice bouquet flowers like green tea and rain forest. Smells fresher than the other products and I highly recommend it. This strain is my favorite. Not really because of its rush energy but because it comes very first and brings the good feeling as soon as you use it. At that point always glowing with happiness and crucially very alert mentally. I recommend!! I have been ordering this product for now almost three years and it’s actually my favorite Kratom product. Brings a swift glowing effect of anxiety and happiness. I recommend it. Awesome product! It’s my first time to this Kratom product and I have really liked it. Very professional packaging and I have really enjoyed its effects. Kratom is a little cheaper but definitely it’s a pimp grade form of product. 5/5 stars! This product has actually been my best hands down. If you are Kratom Enthusiast, then you definitely understand what I am talking about. The product has very pleasant energy and it’s simply very amazing. Five out five star rating from me. The products has an insanely good quality. I have tried many Kratom products but the this has really touched the better part of me. The strain has a perfect feeling that I have always looked for and importantly comes with a cheaper price. I will always stick to it and I highly recommend it. The product of really great benefit to me. Kratom was able to fade out my hard thoughts and even stress. Additionally, I recommend it for the strongest dark moods and anxiety. The product hits very quickly and importantly doesn’t last for long. I normally mix the two for maximum performance but try not to mix past 6 grams a day unless you want to switch of for an entire day. I am very contented with product and I greatly recommend it. Does any have the experience to take it on an empty stomach? How long has it been? I take it on an empty stomach! No issues here other than the occasional rancid burp that doesn’t taste good! I don’t trust on Smokeshops, they usually put you in wrong products from some shifty kratom vendors. Always go for trusty vendors when you are on kratom. I have been using kratom for Lortab withdrawals, but I’m feeling so bad luck in this matter. Does anyone have withdrawal experience with kratom? why did you not mentioned Gold strain? Lastly, I made a try to mix M.D w/a green vein Thai, and my experience was pleasurable… Now I do mix match and go with which works for me. what’s actually many vendors do, they mix different strains and called it a “Maeng Da strain”, although, yes, if you get pure, you can call it potent one. My final words are: All vendors don’t even carry real kratom! This kratom powder is a well-known strain of Kratom for its effectiveness. It is most potent when it comes to relieving chronic pain in people. So, this is the best option for curing your knee and elbow pain. It can work for arthritis, muscle pain, bones and even cancer. Its effectiveness is what I can assure you. I am surprised by some comments here. It works perfectly for me. I’ve been using it every day for months now, and I’ve never regretted it; no side effects whatsoever. Perhaps, some of you are taking an overdose. Using Kratom for methadone withdrawal… it’s a life saver! Best alternative I’ve found to management of chronic pain and withdrawal symptoms. Wish I found this earlier! I was about to say that this all sounds too good to be true, there has to be some kind of catch… right? The more research I do though, kratom seems like a safe way to get the results I’m expecting. I really need a boost to help me motivate with a better outlook and more energy to get through a labor intensive night shift job. This stuff will probably be a blessing. I see lots of information available if I encounter any problems, seems pretty safe. If it will help as much as I think it will, my big regret is not giving it a try sooner! Also, I’m thankful to see comments from others who have had a good experience. I was having a hard time with depression for years, with doctors treating me like some kind of guinea pig with all sorts of different medicines. Nothing worked. Everything made it worse or caused other problems. Then I started using kratom, and very quickly things improved. I will not take any depression medications anymore. Of course kratom is not a miracle or perfect solution to every problem, but I’m serious – the difference has been life changing so far. This particular one is quite strong, but it’s great for me personally because of other issues I have on top of the depression struggle. I’m so thankful that I found this, and wanted to come back here and share a bit of my story. Good luck to any others giving this a try! I’m thinking of purchasing 20g of kratom powder because it’s the most affordable option for someone trying it out. I do have a question though… How would I actually consume this? Do people just mix it with water? Hot or cold? Like a tea, or similar to like mixing other drink powders? Milk, perhaps? I am leanings towards mixing it in with yogurt. For some reason that sounds like it could be good, and a good combination for health benefits. Thoughts, anyone? Any suggestions welcome. It took me awhile to figure out what the exact right amount for me is, but once I got through that awkward phase in the beginning things started to improve in all areas of my life while having kratom in my routine. I actually feel young again, or at least more like my younger self who was much more motivated, energetic, happy, and ready to take on anything that comes her way! I had doubts about the mood enhancing aspect, but seriously that is probably the best part. Even early morning when I usually am grumpy and cranky, I get a much better start with a better attitude. I recommend blending in other strains if you start to lose some of the benefits, changing it up a little really helps, I do that once in awhile to help avoid it becoming stagnant in my system. So far so good! I have heard from people that kratom helped them deal with withdrawals after quitting hard drugs, even Heroin. The addictions I’m recovering from aren’t quite that serious, mostly pain pills, so I’m actually wondering if it would help me plus give me some other great benefits. Not sure if it works that way, but it certainly seems worth a try. I might do a little more research, but I am leaning towards trying kratom. I could really use something to help me get through. Some days it’s hard just to get out of bed. Doctors don’t seem to have any good advice, and they won’t give me anything to help since I have the history of abuse. Anyone with similar experience that’s already tried this? I’d be curious to hear your story. Wow, kratom can last almost eight hours?! That’s a whole workday, sounds amazing. I’m just doing research at this point, but I have to say that so far I’m leaning towards incorporating kratom into my regular routine to help me get the energy and motivation I desperately need. I was going to ask here in the comments about dangers or side effects, but I see the article has done well to explain so much already. I guess my concern might be that it’s too strong, so perhaps I’ll mix with other strains as suggested. I’m excited to try this! I’m being recommended to use kratom while I’m battling a couple of addiction issues. I’m anxious and excited to see how much it can help me. The problems I am working on overcoming are over eating and smoking cigarettes. The withdrawals from nicotine are absolutely the worst to deal with. I’m told that kratom will help a lot! The calming and stress relief benefits should help with my withdrawals and overall health and happiness by the sounds of it. I can’t wait to get started! I’m thankful there is so much information too, I feel well prepared – which really helps with the decision. Did we have a great day out! Just felt very content and with a strange sense of energy that in no way did I expect when struggling from the bed that morning. It wasn’t like caffeine or in any sense a ‘stimmy’ sort of feel – just good and full of beans. Asked her more about it later and she said that’s why she takes it. Placed my order that same evening and haven’t looked back since. Thanks from an older lady for this fantastic kratom! My daughter told me that it may be worth a try to help with just relaxing my muscles and bones (I have arthritis and it is getting slowly more irritating). So I placed an order and made my first pot of proper tea for about thirty years! Must say that at first, the taste wasn’t quite as nice as I was hoping but I had been warned about this – more fool me. I forced it down and later that evening when my bones tend to ache more, I did notice that it was considerably more benign than usual. Still there – and still is – but just in the background rather than being the focus of my attention. Now I take two cups a day, one in the morning and one in the evening. In the morning I make the tea and pour it into my smoothie, in the evening I take it with chai latte milk. Highly recommended! A friend introduced this kratom to me a few weeks ago. Totally random, I was picking her up to head out shopping and frankly wasn’t in the mood. Had low energy and wanted to get it over with, so arrived early and she’d just brewed a pot of tea. So was polite and shared it with her (an acquired taste but better with honey sticks). that thing makes me unable to sleep, as good as it is for my pains I would not be taking it anymore. Sleeplessness can make you feel like hell. It has been saving me for a long time. I take it every day, and it gives me no reactions. It is very natural and safe to use. Do try it! Of all the types of kratom there is, this kratom is the best I’ve ever had. I usually buy a good supply so I’m not left scrambling to buy more when I’m getting low. I find that it helps with my day and keeps me feeling better and less stressed. 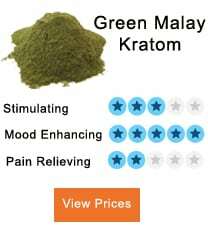 I would definitely recommend to anyone who is looking to try kratom. I usually buy bulk from online vendors and then sometimes I’ll capsule the powder myself if I’m looking to have some in capsule form instead of just powders and what have you. Anyway, I love the stuff and would recommend to anyone. I suffer from chronic pain and I find that this kratom is the absolute best thing for relieving my pain. 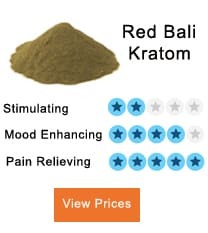 I hated taking prescribed pain killers, and I hated the nasty side effects but I’ve now found that just using this kratom everyday helps me reduce and sometimes even eliminate my pain. This is huge for me, because it’s given me some sort of semblance of a life back which I otherwise wouldn’t of had if I continued to bog myself down on narcotics and painkillers. I won’t stop using it for my pain and I’m glad I discovered it. Anytime I’m looking for an easy stimulate I always turn to this strain. I can’t believe how good the stuff works, though sometimes I struggle with the right dosing for how I’m feeling that day. I recommend that anyone just starting out with kratom start small and slow and then work up to higher and more frequent doses. This stuff could be pretty pure and powerful, so you’ll have an easier time if you allow yourself to build up to higher doses. I’d also recommend staying away from gas stations that claim to sell it, because it’s probably pretty poor quality, if it’s even actually kratom at all to begin with. Since everybody here seems to know what they’re talking about and I’m so new at kratom, I was wondering if this kratom powder may be the right strain for me? I’m looking for something that will help with headaches while also sometimes giving me a little pep in my step and was told that this would be the best place to start within the different strains for my needs. I’m hoping that someone could either confirm or deny this for me before I start buying and try it. There’s very few things in my life that I make sure I have a constant supply of but this strain is absolutely one of those things. I don’t know where I’d be without this stuff. It’s helped me out so much and I refuse to go a day without taking it. I was in a bad car wreck about 7 years ago and had struggled so much with simple daily tasks until my buddy had me try some. I feel like an entirely new person when I use this kratom and I don’t plan on stopping. Kratom is one of my morning must haves. I especially enjoy putting some powder in my coffee every morning. I know it’s unusual but I swear it works better and I enjoy the taste anyway. I find that it gives me extra energy while also getting rid of any of pains and aches I may have woken up with. Some people add a shot of whiskey to their coffee, but I much prefer to add a dose of kratom. I find myself dosing again after I get home from work. Overall, it’s made me a much happier person, so that’s another plus. This strain is one of the best strains available on the market. This is especially true if you’re looking for extra energy, stimulation, and pain relief. This particular strain is known for doing all of those, so if you have some chronic pain issues, it’s a definite must have. It could also help kick start your brain a bit. I used to have awful headaches and migraines everyday until I started introducing this kratom into my daily routine. I’ll take a capsule two to three times every day and I feel so much better when I do. I haven’t had a bad headache since starting and I’m convinced that it’s because of the kratom. I’ve also found myself feeling less worried and anxious while giving me more focus so I’m pretty pleased with all it’s done for me. However, I wouldn’t recommend to beginners, but if you must, start with small doses and let your body get used to the dosing first before you go taking it multiple times a day at large doses. That’s what I did and I’m glad I did it that way. To start with, 2 grams are sufficient. Then gradually you may increase to 4, this might be enough for you to get positive results. Taking higher doses of 10 grams or more will give you the sedative effects you need but be careful to stay within what your body can tolerate. All the best! it is a hundred percent natural medicine with reduced side effects. However, some forms of side effects may occur if taken in very high amounts. The feelings that may occur include jitters, anxiety, irritation, nausea, stomach discomfort, etc. It is important, to begin with, small quantities of dose so you can know if it is suitable for you or not. Take it in low amount for a start and study how your body reacts or receives the medicine. Please try something else. this strain does nothing! I do not feel any form of relief when I take it. Just as good as using nothing. Bro, Then u should try Red vein kratom. This’ll definitely work for you. Have you tried this product with correct dose? this is what I missed in the start but I’m glad now its work. highly energizing and relaxing. I am addicted to it! it’s also helpful for focus and is great when you’re just looking to have some fun as well. It’s one of my favorite strains and I always tell everybody I know to give it a try. Correct dose does matter. In starting I used to take an overdose and had faced many problems. My friend sent me correct dosage now it’s working like magic. Have you not received your dosage guide with your product? From where you bought your product? how much its effects? i want to use for Relaxes overworked muscles can i use i? kratom has a relaxing effect but I become addicted. Newbie here. I’m not really sure about the varieties. I’m not talking about strains. I get that there is a green, red and white. I’m talking about potency. All kratom strain has the best effect but strongest strains are Bali & Borneo. What is the difference b/w both strains? I read out many benefits but I think it does not work in a good way. Got my energy level again. Credit goes to only this beneficial herb. Everyone here is talking about the Maeng Da strain of Kratom correct? Is kratom is bad for my liver? If you used this product for a long time and took high doses can lead to liver failure. Premium Indo Kratom is considered a good product for new users. The effects of these products are highly dependent on the excellence of the quality. Bro, not only on the excellence of the quality also proper usage should keep in mind. I’ve heard only good things about Kratom though I never took it myself. Is It safe to use? Some people say that kratom is helped to aid withdrawal from opioid painkiller and some other problems and some people say it is harmful and it has some side effect like Nausea Itching Sweating Dry mouth etc I read more about kratom and I am confused for using this anyone tells me who use it what is true about it?